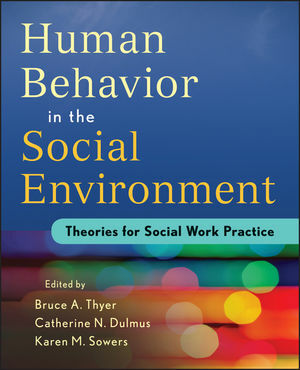 Providing an overview of the major human behavioral theories used to guide social work practice with individuals, families, small groups, and organizations, Human Behavior in the Social Environment examines a different theoretical approach in each chapterfrom its historical and conceptual origins to its relevance to social work and clinical applications. Each chapter draws on a theoretical approach to foster understanding of normative individual human development and the etiology of dysfunctional behavior, as well as to provide guidance in the application of social work intervention. BRUCE A. THYER, PhD, LCSW, is Professor and former dean, College of Social Work, at Florida State University. He is the founding and current editor of the bimonthly journal Research on Social Work Practice.